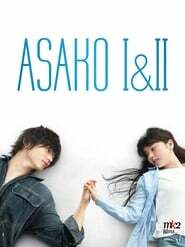 College student Asako falls in love at first sight with Baku after meeting at a photography exhibit. Romance sparks between the two but doesn’t last long when Baku suddenly disappears from her life. Two years later, she spots a man that bears a striking resemblance to him. Even though it is only his physical similarities to Baku that attracted her to him, she doesn’t say so and starts dating the soft-spoken young man called Ryohei. The story of the end of a friendship between two teenage girls, told backwards over the course of nine months.